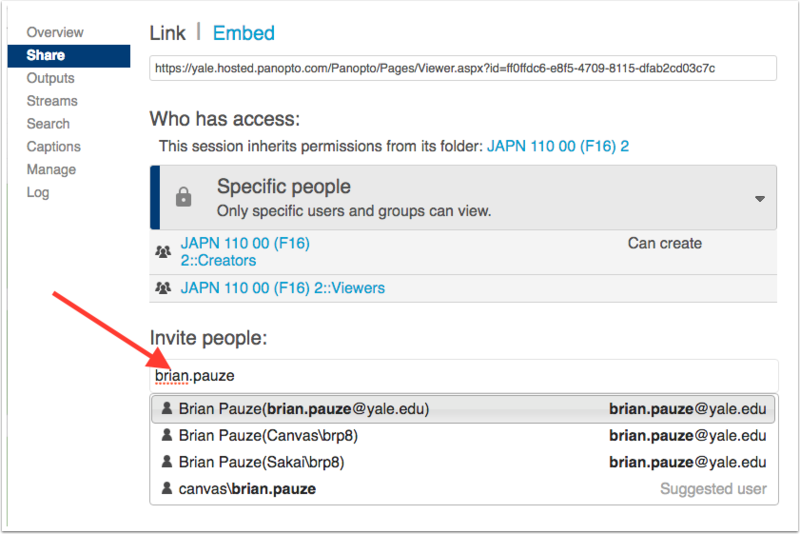 Canvas @ YaleInstructor Guides Media LibraryHow can I share a video? To share a specific video, navigate to the video in Media Library and click the share icon. In the "Invite people" field, type the name of the person or group you wish to share the content with. Individuals can be found by email or netid. Groups can be found by typing in the name of the course. Choose your user or group and then select "save changes" or "send and save changes" if you have checked off the box to notify users via email about their access. Prev: How do I create a video assignment? Next: How can I share a folder?